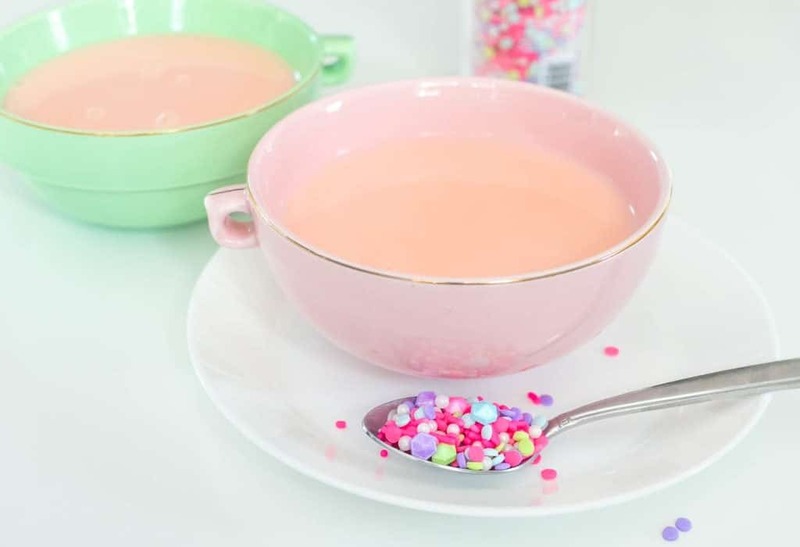 Unicorn Hot Chocolate is one of the hottest new beverage trends! 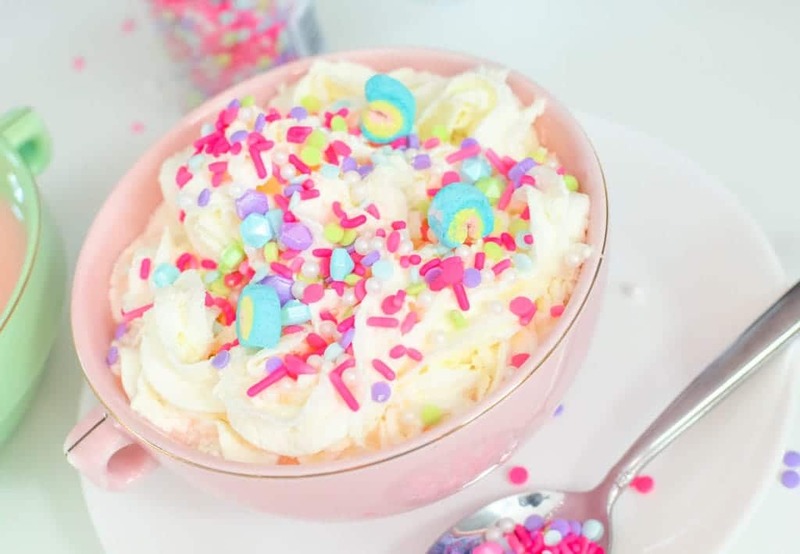 It’s made with white hot chocolate, which is then dyed pink, and topped with whipped cream and shiny candy sprinkles. 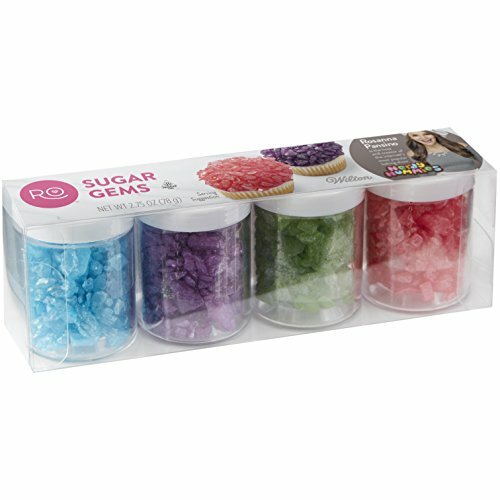 It’s a must if you have a little girl who loves unicorns— but can be enjoyed by anyone who is young at heart! 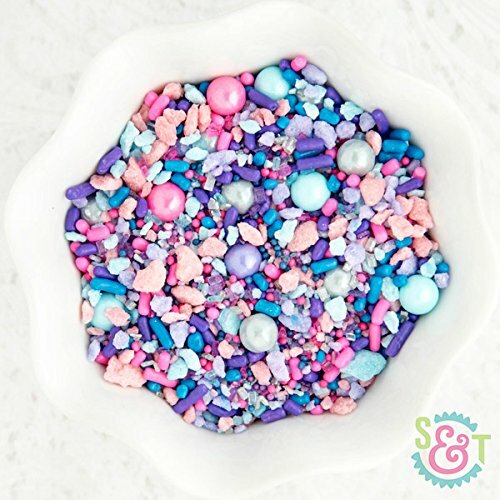 I am on a roll this week with unicorn crafts and recipes— I just can’t get enough! 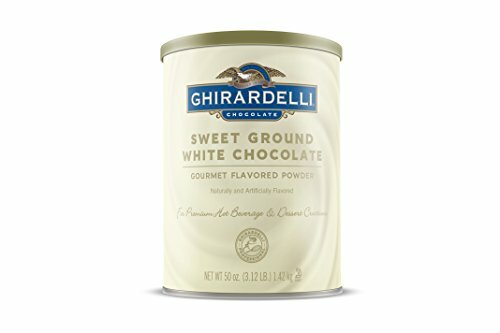 My daughter has been helping me come up with ideas and she’s the one that suggested I make unicorn hot chocolate. Apparently, it’s “thing” in NYC and sometimes goes by pink hot chocolate. It really doesn’t matter what you call it because it’s AMAZING! 1. 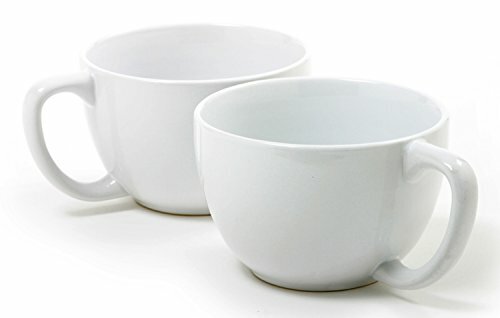 Prepare white hot chocolate as directed with milk or dairy substitute. 2. Stir 1-3 drops pink food coloring, or until the desired pink hot chocolate color is achieved. 3. 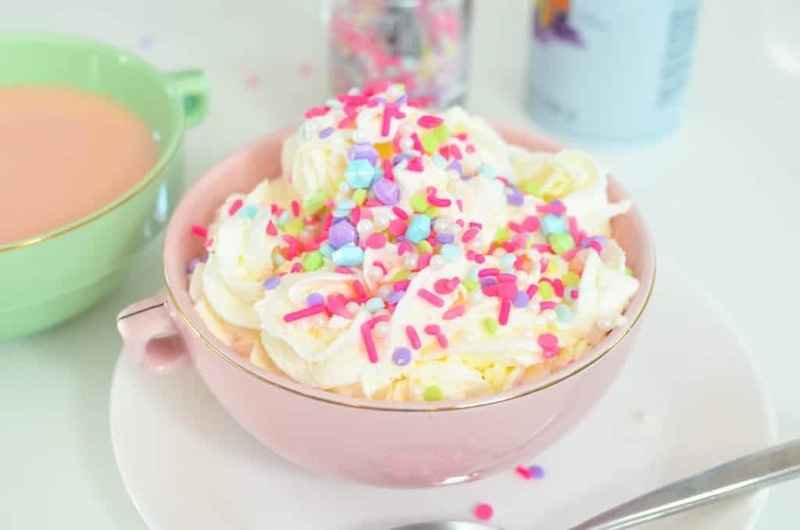 Top pink hot chocolate with whipped cream. 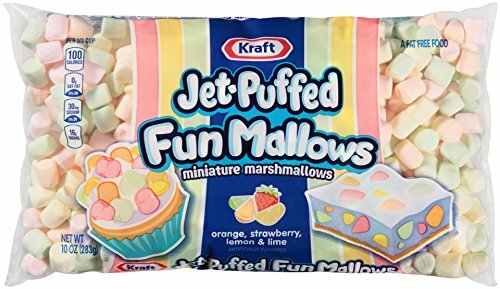 Add candy sprinkles and marshmallows. 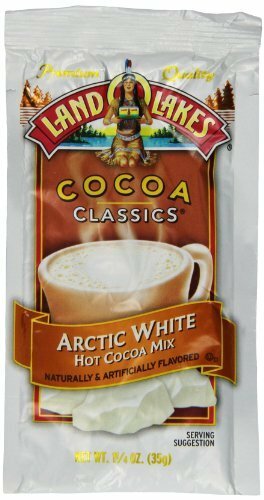 Prepare white hot chocolate as directed with milk or dairy substitute. Stir 1-3 drops pink food coloring, or until the desired pink hot chocolate color is achieved. 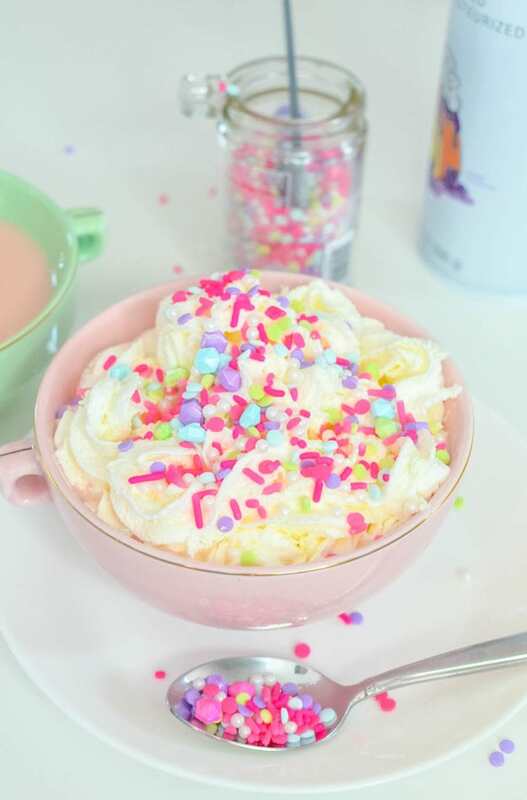 Top pink hot chocolate with whipped cream. 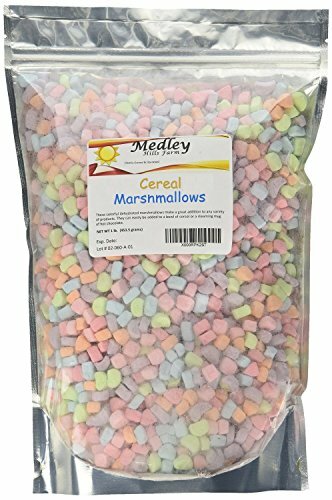 Add candy sprinkles and marshmallows.